Low-back pain is a common condition that can be difficult to treat. Spinal manipulation is among the treatment options used by people with low-back pain to relieve pain and improve functioning. The procedures are most commonly performed by chiropractors. This fact sheet summarizes the current scientific knowledge about the effects of spinal manipulation on low-back pain. Evidence indicates that spinal manipulation can provide relief from low-back pain. It appears to be as effective as conventional treatments, and recent international guidelines for health care practitioners include it as a treatment option for back pain. Spinal manipulation is generally a safe treatment. The most common side effects (e.g., discomfort in the treated area) are minor and generally go away within 1 to 2 days. Serious complications are very rare. Recent research into spinal manipulation for low-back pain has begun to look at the effects of different forms of manipulation, as well as treatment duration and frequency. Each year, up to one-quarter of U.S. adults experience low-back pain. Most people have significant back pain at least once in their lives; often, the cause is unknown. Back pain varies widely. For many people, it lasts only a few weeks. But for others, the pain can become chronic and even debilitating. Low-back pain is a challenging condition to diagnose, treat, and study. Spinal manipulation—sometimes called “spinal manipulative therapy”—is practiced most commonly by chiropractors. Practitioners perform spinal manipulation by using their hands or a device to apply a controlled force to a joint of the spine, moving it beyond its passive range of motion. The amount of force applied depends on the form of manipulation used. The goal of the treatment is to relieve pain and improve physical functioning. Chiropractic is a health care approach that focuses on the relationship between the body’s structure—mainly the spine—and its functioning. In chiropractic, spinal manipulation is sometimes called “adjustment.” Pain related to the back, neck and headaches are the most common reasons people seek chiropractic care. Overall, studies have shown that spinal manipulation can provide relief from back pain and appears to be as effective as conventional medical treatments. 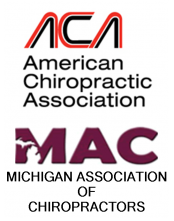 In 2007 guidelines, the American College of Physicians and the American Pain Society include spinal manipulation as one of several treatment options for practitioners to consider using for back pain. Recent studies have found that spinal manipulation provides relief from low-back pain, and that pain-relieving effects may continue for up to 1 year. In one study funded by the National Center for Complementary and Alternative Medicine (NCCAM) that examines long-term effects in more than 600 people with low-back pain, results to date suggest that chiropractic care involving spinal manipulation is at least as effective as conventional medical care for up to 18 months. Reviews have concluded that spinal manipulation is relatively safe when performed by a trained and licensed practitioner. The most common side effects are generally minor and include temporary discomfort in the treated area, headache, or tiredness. These effects usually go away in 1 to 2 days. The best evidence suggests that chiropractic care is a useful therapy for subjects with neck or low-back pain for which the risks of serious adverse events should be considered negligible. Although rare, potential complications from manipulation to the spine include fracture, herniated disc, stroke and cauda equina sydrome. Assendelft WJ, Morton SC, Yu EI, et al. Spinal manipulative therapy for low back pain. Annals of Internal Medicine. 2003;138(11):871–881. Barnes PM, Powell-Griner E, McFann K, Nahin RL. Complementary and alternative medicine use among adults: United States, 2002. CDC Advance Data Report #343. 2004. Bronfort G, Haas M, Evans R, et al. Evidence-informed management of chronic low back pain with spinal manipulation and mobilization. Spine Journal. 2008;8(1):213–225. Bronfort G, Haas M, Evans RL, et al. Efficacy of spinal manipulation and mobilization for low back pain and neck pain: a systematic review and best evidence synthesis. Spine Journal. 2004;4(3):335–356. Cagnie B, Vinck E, Beernaert A, et al. How common are side effects of spinal manipulation and can these side effects be predicted? Manual Therapy. 2004;9(3):151–156. Cambron JA, Gudavalli MR, Hedeker D, et al. One-year follow-up of a randomized clinical trial comparing flexion distraction with an exercise program for chronic low-back pain. Journal of Alternative and Complementary Medicine. 2006;12(7):659–668. Centers for Disease Control and Prevention. Health, United States, 2006. Hyattsville, MD: Centers for Disease Control and Prevention; 2006. Publication no. 2007–1232. Accessed on March 27, 2008. Cherkin DC, Sherman KJ, Deyo RA, et al. A review of the evidence for the effectiveness, safety, and cost of acupuncture, massage therapy, and spinal manipulation for back pain. Annals of Internal Medicine. 2003;138(11):898–906. Chou R, Huffman LH. Nonpharmacologic therapies for acute and chronic low-back pain: a review of the evidence for and American Pain Society/American College of Physicians clinical practice guideline. Annals of Internal Medicine. 2007;147(7):492–504. Chou R, Qaseem A, Snow V, et al. Diagnosis and treatment of low-back pain: a joint clinical practice guideline from the American College of Physicians and the American Pain Society. Annals of Internal Medicine. 2007;147(7):478–491. Ferreira ML, Ferreira PH, Latimer J, et al. Comparison of general exercise, motor control exercise and spinal manipulative therapy for chronic low back pain: a randomized trial. Pain. 2007;131(1–2):31–37. Ferreira ML, Ferreira PH, Latimer J, et al. Efficacy of spinal manipulative therapy for low back pain of less than 3 months’ duration. Journal of Manipulative and Physiological Therapeutics. 2003;26(9):593–601. Gudavalli MR, Cambron JA, McGregor M, et al. A randomized clinical trial and subgroup analysis to compare flexion-distraction with active exercise for chronic low back pain. European Spine Journal. 2006;15(7):1070–1082. Haldeman S, Kohlbeck FJ, McGregor M. Stroke, cerebral artery dissection, and cervical spine manipulation therapy. Journal of Neurology. 2002;249(8):1098–1104. Hoiriis KT, Pfleger B, McDuffie FC, et al. A randomized clinical trial comparing chiropractic adjustments to muscle relaxants for subacute low back pain. Journal of Manipulative and Physiological Therapeutics. 2004;27(6):388–398. Hurwitz EL, Morgenstern H, Kominski GF, et al. A randomized trial of chiropractic and medical care for patients with low back pain: eighteen-month follow-up outcomes from the UCLA low back pain study. Spine. 2006;31(6):611–621. Kinkade S. Evaluation and treatment of acute low back pain. American Family Physician. 2007;75(8):1181–1188. National Institute of Arthritis and Musculoskeletal and Skin Disorders. Handout on Health: Back Pain. Bethesda, MD: National Institute of Arthritis and Musculoskeletal and Skin Disorders; 2005. NIH publication no. 05–5282. Accessed on March 27, 2008. Oliphant D. Safety of spinal manipulation in the treatment of lumbar disk herniations: a systematic review and risk assessment. Journal of Manipulative and Physiological Therapeutics. 2004;27(3):197–210. Santilli V, Beghi E, Finucci S. Chiropractic manipulation in the treatment of acute back pain and sciatica with disc protrusion: a randomized double-blind clinical trial of active and simulated spinal manipulations. The Spine Journal. 2006;6(2):131–137. Senstad O, Leboeuf-Yde C, Borchgrevink C. Frequency and characteristics of side effects of spinal manipulative therapy. Spine. 1997;22(4):435–440. Tindle HA, Davis RB, Phillips RS, and Eisenberg DM. Trends in use of complementary and alternative medicine by US adults: 1997-2002. Alternative Therapies in Health and Medicine. 2005;11(1):42–49. van Tulder MW, Koes B, Malmivaara A. Outcome of non-invasive treatment modalities on back pain: an evidence-based review. European Spine Journal. 2006;15(suppl 1):S64–S81.